Well Owls, the eagerly awaited HootSuite iPad App has hatched and is out in the world — free for your enjoyment. Have an iPad? Great. Download it today from the HootSuite for iPad product page. After all the anticipation and a few sneak peaks, HootSuite for iPad was eagerly received upon launching in the App Store last week. Since then, we’ve listened to happy iPad users eagerly sharing their thoughts and comments. Thanks for all your feedback ~ keep it coming! If you’ve missed out on all the buzz, here are just some of the articles and feedback we’ve seen that we think you’ll enjoy. 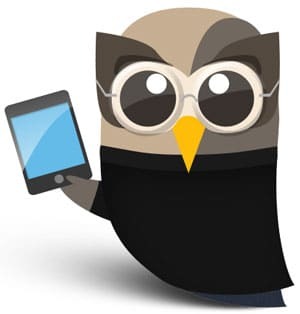 HootSuite for iPad looks to be the perfect companion application for existing business users of the service who wish to manage their presence on a larger mobile screen. The multipurpose nature of the application might also help attract new users. The Next Web – HootSuite for iPad is here! You’ll notice that HootSuite for iPad looks a lot like HootSuite for iPhone … it should it was made that way. I’ve had the chance to chat with Richerd on how he made the app and it was all about making good use of the larger screen size. And speed. — Richerd noted that other apps for Twitter on the iPad were a little slow, so he made speed a priority in the app. — Fast? Skimming across columns is essentially instant. First Look: HootSuite for iPad from The Next Web on Vimeo. But! A new Twitter app for iPad saw the light of day yesterday: HootSuite for iPad. And it rocks! It looks and feels great. And best of all: it’s free! People that are familiar already with HootSuite on the web will be right at home in the app. You’ll instantly recognize the multi-column support, which gives me the much-needed overview of important tweets as a Twitter power user. HootSuite for iPad features all the options and functionalities iPhone users have been able to enjoy for almost a year now, but it sports a native interface for the tablet that takes advantage of the larger screen to display multiple “columns” at once, so you can keep track of your Twitter messages and mentions without having to switch between different views, for example. 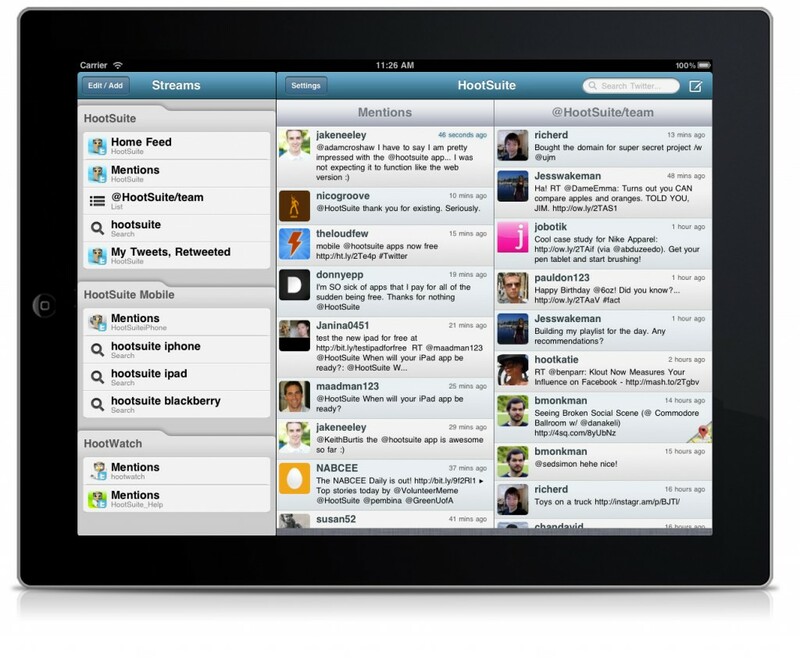 Hootsuite has strengthened their mobile application offerings with the release of their iPad application today. Having almost the same features as Hootsuite for iPhone, i.e. multiple social networks and profiles, Scheduling messages, On-Board Stats etc, this application is completely free and has been specially designed by keeping the iPad interface in mind so that you can easily manage campaigns and monitor social networks from anywhere. Into Mobile – HootSuite For iPad Now Available! For updates to the iPad and iPhone apps, be sure to follow @hootsuiteiphone.